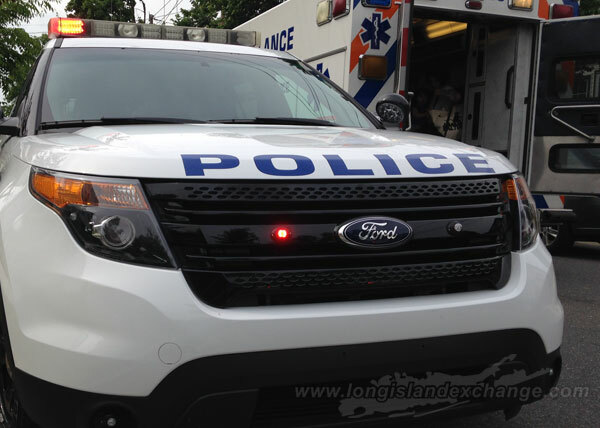 (Long Island, NY) Seventh Squad detectives report the details of a serious auto accident, in which a pedestrian was struck, that occurred in Wantagh on Friday, May 06, 2016 at 12:40 A.M. According to detectives, a male victim was crossing from south to north on Sunrise Hwy./Wantagh Ave. when he was struck by a 2016 Nissan suburban, operated by a male driver, 27. Nassau County Police report the details of a serious auto accident that occurred in Wantagh on Friday, May 06. Photo Credit: Chris Boyle. Nassau County police ambulance transported the victim, who sustained broken bones to the arm, leg and pelvis, to a local hospital where he is listed in serious by stable condition. The driver of the vehicle did not sustain any injuries.